DAYTON — The Miami Valley Regional Planning Commission’s (MVRPC’s) Board of Directors recently awarded $26.6 million in federal transportation funds for 21 roadway, traffic signal, bikeway, transit, transportation alternatives and planning projects that will benefit the Miami Valley Region. MVRPC’s regionally-controlled Surface Transportation Program (STP), Transportation Alternatives (TA), and statewide Congestion Mitigation/Air Quality (CMAQ) funds, when matched with local dollars, will fund over $51.8 million worth of transportation projects. All of the projects are located throughout MVRPC’s transportation planning area, which includes Greene, Miami and Montgomery Counties, and Carlisle, Franklin, Franklin Township, and Springboro in northern Warren County, Ohio. Two projects in Englewood were unable to receive funding during the current cycle. A resurfacing project on Union Boulevard from U.S. 40 to the Englewood south corporation limit (excluding the bridge deck over I-70) totaling $574,525 was not funded. The resurfacing of Wenger Road from State Route 48 west to Southview Drive totaling $510,049 also did not receive funding. In accordance with the Statewide CMAQ Policy, projects recommended for CMAQ funding, by MVRPC’s Board, will subsequently be submitted to the Statewide CMAQ Committee for final consideration for funding during the next solicitation cycle. In September of 2018, MVRPC solicited member jurisdictions for new transportation projects that would be eligible for STP, CMAQ and TA funds. By the October 10, 2018 deadline, forty-five (45) applications for projects totaling over $88.9 million had been received. The applications were then made available for public comment and subsequently ranked by using adopted criteria. A list of the recommended projects was reviewed by MVRPC’s Technical Advisory Committee and then by MVRPC’s Board of Directors for approval. The projects are expected to be implemented between the years 2020-2025. Established in 1964, the Miami Valley Regional Planning Commission promotes collaboration among communities, stakeholders, and residents to advance regional priorities. 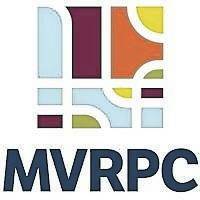 MVRPC is a forum and resource where the Board of Directors identifies priorities, develops public policy and collaborative strategies to improve quality of life throughout the Miami Valley Region. MVRPC performs various regional planning activities, including air quality, water quality, transportation, land use, research and GIS. As the designated Metropolitan Planning Organization (MPO), MVRPC is responsible for transportation planning in Greene, Miami and Montgomery Counties and parts of northern Warren County. MVRPC’s areawide water quality planning designation encompasses five (5) counties: Darke, Preble plus the three MPO counties.